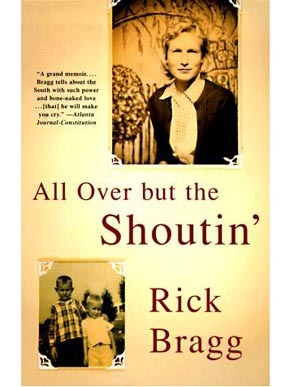 Rick Bragg's memoir All Over but the Shoutin' was published in 1997 and is the first of three books about his family, focusing on his mother. It was followed by Ava's Man in 2001, which focused on Bragg's grandfather, and The Prince of Frogtown in 2008, about his father. All Over but the Shoutin' was nominated for a Pulitzer Prize and honored as a New York Times Notable Book of the Year.